The Mini Smart Socket allows you to create schedules to automatically power on or off your home electronics and appliances at anytime. You can create a schedule for each device any day of the week. The Smart Plug gives you the peace of mind that you'll never leave devices running again. With the countdown timer feature, simply set a timer for the Smart Plug to turn off its appliance automatically. Set it and forget it. It's that simple, giving you one less thing to worry about in your busy life. 1. With customized 1 group standard socket. 2. Support APP control output/timing/countdown,etc. 3. RGB LED breath light design,choose anyone color you want. 4. You could set a schedule for the devices in your kids' room. Make sure the computer is turned off when they should be go to bed. 1. 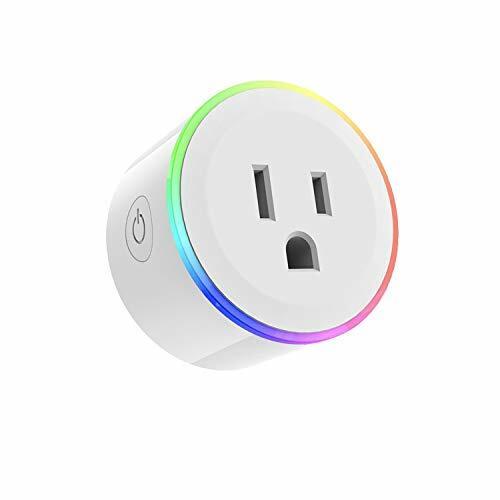 The smart plug only supports 2.4GHz WiFi network, not support 5GHz network. 2. The App Compatible with Android 4.1 or above, iOS 8.0 or above.